What makes these five (well, six) reads so awesome? They're all self-published. "When college co-ed, Scarlett, wakes up she knows something is off, but she has no idea just how off! Finding herself on a ship going god knows where Scarlett realizes she’s in trouble. Trouble turns out to be an intergalactic hell hole where slavery, prostitution and violence are not only accepted, but are the bread and butter of corrupt governments, criminals and raiders." "An alien scientist has a half-human "inter-terrestrial" son on the primitive planet of Earth. Aliens from neighboring planets (Mars and Venus) think they own the Earth and are adamant that it not be used by higher species without their consent. For twenty years, this alien father has been trying to figure out a way to get back to this forbidden planet to see his son, desperately looking for an opportunity to present itself." "'Dookimon' is the hottest TV show in the galaxy. Broadcast from a space cube orbiting Uranus, it is a place where those who are genetically unique (mutants) can come to shine. But when the cube's central computer becomes self-aware and starts abducting innocent mutants, it is up to Charlie, an inter-terrestrial child of two worlds, to rescue them with his amazing powers and an unlikely robotic ally." "A dishonourable discharge left Margo unable to find honest work on Earth. Signing onto a colonizing mission heading to a new world promised a fresh start. Or at least that's what she'd thought. Strapped into a crashing colony ship, she realized how wrong she'd been." "Willow Grace is a brilliant medical student who enjoys partying just a little too much. Nych Haywiyth is an engineering student with an underground lab and a dirty little secret. The two of them were never meant to come together. " "After an accident involving a quantum computer built by his best friend, Erik's life changes. Almost every day, it seems. At first he notices subtle changes in his life. Other days the differences are so extreme that he begins to question whether he is going insane or if he is just having a lucid dream. Unfortunately for Erik, figuring out what is really happening to him will be nowhere near as difficult as finding out if there is a way to make it stop." I love the idea of a self-published book. 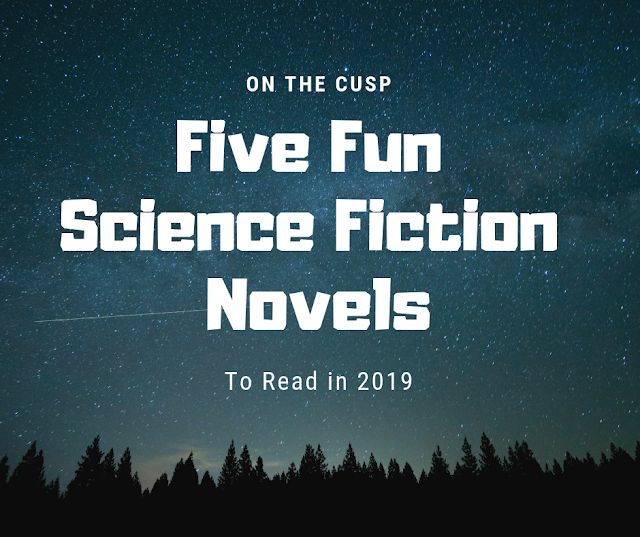 Science fiction is not my usual genre, but these sound fun. Interesting books, will check them out. Please do - I follow a lot of these people on Twitter and they're all wonderful writers!